She met him the summer she turned twelve, and he, thirteen. She remembers, because it was his birthday party and she'd traveled with her mama and papa and Mark who was still a baby, all the way to his family’s rest house in the countryside for the stupid party. It was so, so far---there were long roads with sharp curves--- dusty chalk cliffs with yellow chunks of rock on one side, and on the other, the sea-- light blue and deep and glittering with summer’s last sunbeams. She remembers because it was one of the last times she had the whole backseat to herself; she stretched out like a cat in the sun, her feet propped up the window, tapping it to the sound of the stereo playing until her papa told her to stop because it was annoying. She remembers finally arriving after making two wrong turns. She stretched her aching legs and popped her fingers. She took in the baby coconut trees along the yard--- they had that frail look when they've just been planted--- the gravel drive and the sprawling white building beyond it. It wasn't a simple rest house by the beach, not really. It was more of a mansion. And he came bursting out of the doors, waving at them---at her--- as if she was his new best friend. And she remembers this moment second-clearest of all. He was not the prettiest boy she's ever seen, but he was splendid, because he made you feel special. That was just how he was made: he gave his smiles away just like that. And when he smiled, she did too. His sweaty hair was always in his eyes and he had braces the way rich boys always did. He told her silly jokes and took her hand and pulled her along to see the beach. “Hubu-a imung sneakers!” he cried, his own flip-flops already discarded as he raced for the sea. By the time they returned to the big house they were dripping wet and grinning. They caught two fish and put them in the aquarium. They changed clothes. Him, another variation of polo shirts and khaki shorts. Her, whatever shirts her mom bought from Metro Ayala. She let him smear cake on her face as they blew out his candles. He let her win a game of pabitin so she could get the biggest prize. He wouldn’t let go of her hand when it all came down to a rowdy round of bahaw-bahaw (he called it Japanese game). They were best friends, for a day. They were inseparable. But then the next day she had to leave, with mama and papa and Mark, who cried all the way to the car. The fish they put in the tank died overnight. “Next year nasad?” he said, with what she thought was a sad, hopeful smile. She remembered nodding. But there wasn’t a next year, or a year after that. Her last memory was of him waving furiously from their wide gravel driveway, getting tinier and tinier the farther they drove. And then the magic was gone. She remembers this moment clearest of all. Last time, we had jeepneys. Today, we have a road trip! It's been a while since our last fiction post and I'm glad with this little breath of fresh air. IDK where this is going but I got wonderful feedback from friends and friends of friends and strangers and I just wanted to say thank you for taking time out of your day to read these little stories and snippets. 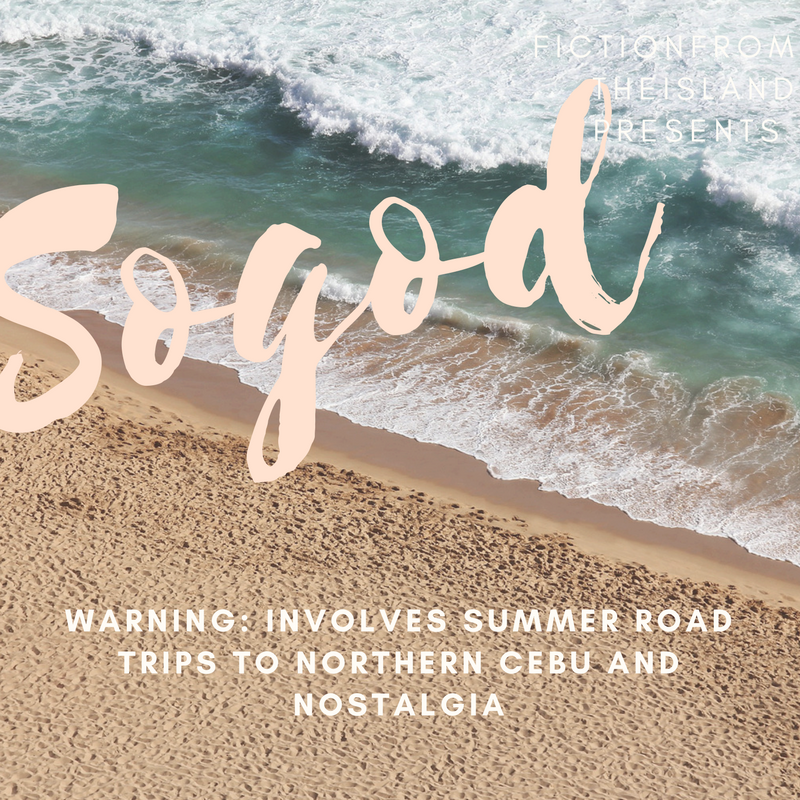 Sogod is one of the northern towns of Cebu. It's looks pretty much like how it's described in the story. I've very fond memories of the place. Unfortunately none of them involved cute boys. A few dead fish in an aquarium were present though, sadly. So, let me know what you think! Your feedback means a lot to me. Hopefully one day we can build a community of writers from the island.